The following is a guest blog post by April E. Frisby of Frisby Law. April is a lawyer in Orange County who practices business and securities transactional law, as well as estate planning. April is also an adjunct law professor at Whittier Law School. It can be hard to get folks to think about estate planning—especially the younger ones in the beginning stages of their careers. They believe that there will be many changes in their life before end-of-life planning becomes necessary or they think they don’t have enough money to worry about it. Or, perhaps most risky, they think they can just pick up a form at a stationary store or print it from a website and they’ll be all set. Hopefully the following points will help you convince folks that they need your expertise to get an estate plan in place now! If you have children, you need a plan. If you or your spouse passes away, who will take care of the children or manage the property they inherit? You may have an understanding with your spouse, but surviving relatives may disagree. Your will or trust may nominate a guardian for your children (and a guardian or trustee for the property they inherit). Although the nomination of a guardian of the person for the children is not binding and subject to the court’s appointment, the court is required to give “due weight” to the parents’ nomination (so make sure you review it regularly). And in appointing a guardian for the child’s estate, the court is required to follow the parent’s nomination, unless the court finds the person “unsuitable.” Without written instructions, your relatives may face prolonged and costly court battles, with a final decision that may not be what you envisioned. Self-help may result in an invalid estate plan. As the adage goes, “a [person] who represents [him or herself] has a fool for a client.” In California, wills have specific execution requirements, and people who use stationery store or online forms may not read or fulfill the requirements correctly. When teaching my Wills & Trusts class, I highlight the many cases involving improperly executed pre-printed forms, which later require court time (and expense) to determine whether the decedent meant the pre-printed form to mean the final expression of his or her testamentary intent. It’s better to spend the money for legal counsel upfront to avoid costly legal issues for your heirs later. To avoid your clients’ inclinations to “self-help,” you may want to keep their final documents in your office so they don’t make changes that fail to comport with requisite formalities. If your estate is deemed have over $150,000 in assets (or you will have that amount), you need a plan. Less than $150,000 generally avoids probate, but more than that puts loved ones through the 6-month-plus probate proceeding (although certain assets like joint tenancy and payable upon death accounts may be excluded from the value of an estate’s assets). As for estate planning instrument choices, a will helps to get property in the right hands, but an intervivos (living) trust will avoid the long process of probate if done right. A living trust is typically more costly than a will, but it’s a flexible vehicle that you can set up and fund with assets (i.e. title the house into the trust). Check with your client every year or so to make sure the trust is being managed and funded so that no more than $150,000 in what may be deemed probate assets is ever outside of the trust. We all have the possibility of incapacity. If you become temporarily or permanently incapacitated, your healthcare and financial decisions may need to be made by someone else (subject to certain limitations set by law), and you probably want to decide who that person will be. A power of attorney and advance health care directive will take care of this issue. Yes, there are pre-printed forms available for this, but these documents need to address material issues and are subject to execution formalities; having an attorney handle them will help avoid costly and heartbreaking issues later. The need for estate planning affects most, if not all adults in California, either because there are children involved or a not-so-high threshold amount of assets. And planning for incapacity or end-of-life issues is a reality for all of us. 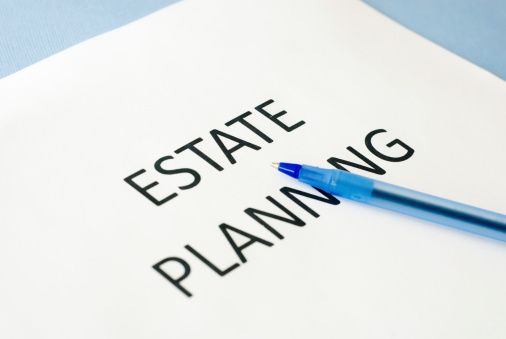 It’s important that attorneys communicate these realities to potential clients and dispel the false perception that estate planning is only for the rich and famous. For detailed coverage on issues pertinent to today’s California estate planning practice, turn to CEB’s California Estate Planning. And basic estate planning and administration is one of the many topics covered in CEB’s California Basic Practice Handbook, a book to help new practitioners handle whatever comes in the door.